For some they are "the Poor Man's Moody Blues", but there's nothing poor about Barclay James Harvest; it was their use of the mellotron that in part accounted for the comparison. Truth is they are one of the foremost exponents of Prog Rock; having established their credentials on their 1970 debut recording for the coincidentally named Harvest label. Such was their comfort with "the Poor Man's Moody Blues" epithet that they even recorded a song of that name, and very good it is too. Formed in Saddleworth, Yorkshire, in 1966 by John Lees, Les Holroyd, Stuart "Woolly" Wolstenholme and Mel Pritchard, Barclay James Harvest recorded their first single in 1968 and the following year began work on their self-titled debut album - Barclay James Harvest - at Abbey Road that came out in the summer of 1970; several of the tracks feature a symphony sized orchestra. The following year they followed it with Once Again, again with a symphony orchestra, that included their monumental, 'Mocking Bird' and the delicate 'Galadrial'. For their third album and their second to be released in 1971, Martyn Ford was drafted in to oversee the complex orchestrations on Barclay James Harvest and Other Short Stories, with tracks like 'After the Day' and 'Medicine Man' it took the band to yet another level of Baroque-laden consistently skilful song writing. 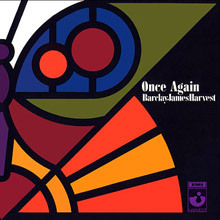 Baby James Harvest (1972) became the band's fourth and last album for Harvest. Like its predecessors it sold well, but not in enough quantities to trouble the album charts. The standout track is the Beatles influenced, 'One Hundred Thousand Smiles Out'. Come the summer of 1974 and BJH had signed to Polydor Records, on the face of it a risk for the label, given the band's lack of strong sales. It was to prove a risk well worth taking when their fifth album, Everyone Is Everybody Else, proved to be an artistic, if not a complete sales success upon its release. It includes John Lees' 'Child of the Universe', which has come to rival 'Mocking Bird' as one of their best-loved early songs. The album also helped to enhance the band's growing reputation in Continental Europe. In the same year they also achieved their first chart success when Live made No.40 on the album charts. In 1975 the band decamped to San Francisco for three months to record Time Honoured Ghosts, which was produced by Elliot Mazer, best known for his work with Neil Young. It's a subtle change of direction with a less mellotron-laden sound and a greater emphasis on the vocals. For many, the most beguiling track is 'Titles' with lyrics that are entirely made up of Beatles song titles and with musical idents that reference many of the Fab Four's finest records. There is one track, 'Beyond The Grave', which has all the hallmark keyboard motifs for which the band was justly famous. It is an outstanding track that could easily have been recorded by Mercury Rev, several decades later. Their 1976 album, Octoberon, continued their move away from the keyboard heavy sound - aside from 'May Day', the album also generally plays down their vocal harmonies. It nevertheless made the UK album Top 20 and became their highest charting album of their career to date. The standout track, for many, is 'Rock 'N' Roll Star', with its Poco-like harmonies, which made the singles chart the following year when it was the featured track on the Live EP that just crept into the Top 50. It was taken from their 1977 Live Tapes album that is a fantastic affair, full of what made Barclay James Harvest such a popular touring band. Also in 1977 the band released Gone To Earth, their eighth studio album, which included 'Poor Man's Moody Blues' and the gorgeous, bombastic and epic, 'Hymn'; both are written by John Lees. In spending seven weeks on the UK album chart it was the longest run of any of their studio albums. But this is nothing when compared to the album's success in Germany where it peaked at No.10 and stayed on the charts for 197 weeks – making it the 6th longest running album in German chart history. 1978's XII is another album that is less keyboard centric, all except the beautiful 'In Search Of England', which was written by Woolly Wolstenholme and became something of a swansong, in that it was the last album on which he played. He left the following year to become a farmer. Given their popularity in Germany it was perhaps appropriate that the standout track on the album was the stripped down 'Berlin' – a city still divided by a wall. For their first post-Wooly album, both Lees and Holyroyd shared the keyboard duties as well as playing guitars. Eyes of the Universe includes Holyroyd's 'Love on the Line', which has the distinction of being their first studio single to chart in the UK, albeit a lowly No.63. In 1981, along came Turn of the Tide, which is, as to be expected, another stripped down sound with songs like 'Life is For Living' being the apex of their approach. The album closes with 'In Memory of Martyrs', which harks back to their earliest days with its grandiose subject matter, and a steadily building circularity that features Lees lead vocals that all culminates in the kind of chorus every BJH fan love. 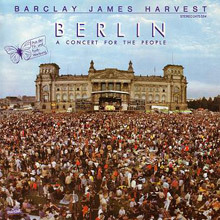 For their third live album, A Concert for the People (Berlin), recorded at the Reichstag is naturally more reflective of their sound, without the mellotron. The epic 'Mockingbird' is way more intimate and the production is too. The album closes with a majestic version of 'Hymn' and it's one of those live albums that works so well – no doubt in part because by this point in their career the band were veterans of the road and had their chops down perfectly. To this end it spent 11 weeks on the UK chart and made it to No.15 – none of their albums performed better. For their 12th studio album, Ring Of Changes, everything was written either by Lees or Holroyd and it is distinctly in the mould of the two previous studio albums, the title track sparkles, yet it lacks the strong melodic hook of many of their previous offerings. It's a similar comment that can be levelled at Victim of Circumstance (1984), which is a solid album that spent six weeks on the UK chart; the title track is the best of the bunch. 1987's Face To Face was originally to be called, Elements, although there's not a track with either title on the album. 'Prisoner of Your Love' is the opening and strongest track, along with 'Alone at Night'; both tracks, like rest of the album, have an American AOR feel to them. In 1988 along came another live album, Glasnost, which was recorded the previous year in East Berlin, before the wall came down. It includes a great version of 'Poor Man's Moody Blues', along with a rocking 'Medicine Man' and an excellent 'Love on the Line'. In 1990, Welcome to the Show, studio album number fifteen, included a song called 'John Lennon's Guitar' that refers to the night at Abbey Road Studios in late 1970 when the band recorded 'Galadriel', on which Lees played John Lennon's Epiphone Casino guitar. For the best of material to be found on their last two studio albums, Caught in the Light (1993) and River of Dreams (1997), then Sea of Tranquility (The Polydor Years 1974 - 1997) is the go to album. This three CD set tells the story of the band's greatest successes, along with alternate takes and live versions of some of the best known songs. For a shorter introduction to the band then 1985's The Compact Story of Barclay James Harvest is perfect or 2013's Child of the Universe – The Essential Collection is a two CD offering of their standout tracks. 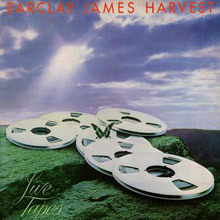 In 1998 the band split in two, becoming John Lees Barclay James Harvest and the other, unsurprisingly,was Barclay James Harvest featuring Les Holroyd; Mel Pritchard stayed with the latter group until his death in February 2004. Woolly Wolstenholme committed suicide in December 2010, after struggling with depression for some years. Both incarnations of BJH remain active, touring and recording. Barclay James Harvest's sensibly titled debut album was one of the unsung classics of the late '60s, a post-psychedelic pop album that posits a peculiar collision between the Bee Gees' vision of classic grandeur and the heftier sounds leaking out of the rock underground. Add Norman Smith's epic production and one cannot help thinking that if the Pretty Things had ever looked elsewhere for their follow-up to S.F. Sorrow, Barclay James Harvest could have handed it to them on a plate. The opening "Taking Some Time On" is absolutely phenomenal, churning and riffing on the one hand, positively hymnal on the other -- and poised, during its chorus, to plunge into a virtual dry run for R.E.M. 's "Talk About the Weather." Elsewhere, "When the World Was Woken" is unmistakably daubed in a whiter shade of Procol Harum, while the 12-minute closer, "Dark Now My Sky," is simply spellbinding. Barclay James Harvest ranks among the finest albums of the entire early prog boom. 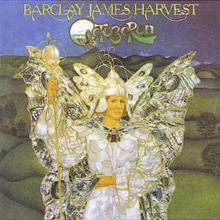 One Way reissued Barclay James Harvest's first and second Harvest albums on a single disc in 2003. Both Barclay James Harvest and Once Again are similar in that they fuse rock and classical music similar to Genesis, the Moody Blues, and ELO. Once Again was especially ambitious, as it features the London Symphony Orchestra throughout. Fans should be on the lookout for these long out of print albums, now reissued at a midline price. The group's first album for Polydor is several steps above their EMI work. Most of the psychedelic-era influences are softened here and broadened, and transmuted into something heavier and more serious, even as the Beatlesque harmonies remain intact. The guitars sound real heavy, almost larger than life here, while the swelling Mellotron and synthesizer sounds give the music the feel of an orchestra. By this time, the group had also mastered the Pink Floyd technique of playing pretty tunes really slowly, which made them sound incredibly profound (it's actually a technique that goes back, in different forms, to Gustav Mahler and Anton Bruckner). John Lees gives superb, virtuoso performances on lead guitar on "Paper Wings" and "For No One." Les Holroyd's gorgeous "Poor Boy Blues" sounded more like Crosby, Stills &amp; Nash than CSN did in those days, and is almost worth the price of the CD. John Lees adopts a pub rock sound in his compositions, although "May Day" manages to veer unexpectedly into a glorious choral and organ arrangement. "Polk Street Rag," despite its name, is a slick rocker about a sordid X-rated movie house in San Francisco. There's a black humor throughout, as in this brutally funny line from "Suicide? ": "Heard a voice shouting 'Don't jump, please for God's sake let me move my car.'" Not up to the level of their best work, but worth a listen for fans. 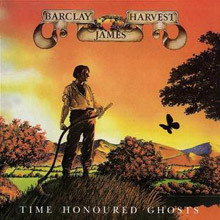 Time Honoured Ghosts continued Barclay James Harvest's development away from the orchestral sweep of the earlier albums, although there's a little more filler than usual here. "In My Life" emphasizes BJH's penchant for ghostly descending vocal choruses and features an angular lead guitar part that would be recycled several years later in "Loving Is Easy." "Titles" remains memorably catchy in spite of its faintly irritating musical parlor trick of lyrics created entirely from Beatles song titles. "Moongirl" in particular demonstrates how Stewart Wooly Wolstenholme's approach to keyboards differs from most prog rock bands (with the exception, perhaps, of Pink Floyd); by subtly combining a variety of background textures (Mellotron, harpsichord, organ, piano), he acts as a foil to set off the more obvious roles played by the vocals and lead guitar. 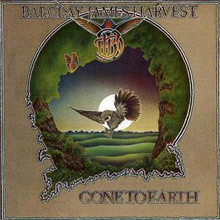 Barclay James Harvest had streamlined their sound considerably after leaving the Harvest label, culminating (so many felt) in the mellifluous music of Gone to Earth. Their pretensions to progressive rock all but abandoned, BJH here invites comparison to contemporaries like Supertramp, REO Speedwagon, and Fleetwood Mac (some of whom were similarly tagged with the prog rock label early on). Even at their most ornate, songwriters John Lees and Les Holroyd were simple balladeers at heart, and the decision to unclutter their arrangements allows the material's intrinsic beauty to shine through with clarity. For this reason, Gone to Earth is regarded by many as the band's best album, and judged on a song-by-song basis, it's hard to argue against it. Lees' "Hymn" and "Poor Man's Moody Blues" swell from simple beginnings to majestic heights, while Holroyd provides a cache of catchy rock songs, incorporating Beach Boys' harmonies on "Spirit of the Water" and "Taking Me Higher," soaring with the Eagles on "Friend of Mine," and even dabbling in reggae on the popular "Hard Hearted Woman." Again, the album's lone orchestral moment comes from Wolstenholme, the transcendent "Sea of Tranquility." (The keyboardist, whose once-omnipresent Mellotron now played a diminished role in the band's sound, left after the subsequent tour, releasing the first of several solo albums in 1980.) Although the songs are almost uniformly light on their feet, the lyrics reveal some heavy thoughts: Lees' "Lepers Song" laments "The end of the line's where I'm at/'Cos there's nothing left to be," and "Spirit of the Water" deals with killing seals for coats. Fortunately, it's not the uneasy alliance you might expect. Rarely has the band sounded so comfortable in the studio, and the result is as lovely a record as they've made. Cut live at the Reichstag in the German city, Berlin is very different from The Live Tapes, with a rather leaner, harder-rocking sound, and more of a dance-rock feel as well, and is also miked much closer for a more intimate sound. "Mockingbird," "Child of the Universe," and "Hymn" are all performed rather more tightly than earlier live renditions, and with more flamboyant electronic effects. "Sip of Wine" represents the group's harder, post-progressive-era sound, while "Nova Lepidoptera" is a pretty piece of space rock, and "Life Is for Living" is so upbeat with its disco-dance sound that it could almost pass for an ABBA cut. Except on the latter, where the keyboards rule, John Lees' and Colin Browne's guitars are the most prominent component of the group's sound, and it's easy to see why this album, covering so many bases so well, took British audiences by storm -- the Moody Blues in their post-psychedelic era have wanted to make a live record this tight and bracing for ages. And the CD is even better than the LP. 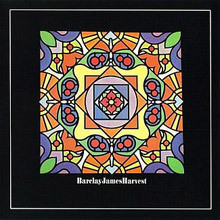 Like the work of Buffalo Springfield or the Moody Blues in the first go 'round, you'll need to take it on faith that the Baroque touches on Barclay James Harvest and Other Stories were effective for their time. The fuzzed guitars, Mellotron, bongos, heavy orchestration and dreamy arrangements may sound stilted today, but strip them away (or simply acquiesce to enjoy them) and a very good collection of songs reveals itself. There are obvious nods to the Beatles ("Blue John Blues," "Medicine Man") and the Moodies (the lovely "Ursula"), but that's a fait accompli on any Barclay James Harvest album. Although the album doesn't really tell any stories (an optimistic acceptance of mortality comes into play on a couple of tracks), the band does aspire to bigger things on the aptly titled "The Poet." 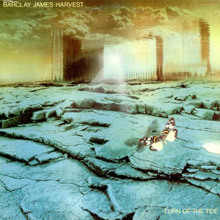 The only knock on this album (and it pertains to Barclay James Harvest in general) is that you wish they aspired to more. The classical arrangements are stunning, and when the band musters a big orchestral ending for a song like "Little Lapwing," you can't help but wonder how much better it would have been if they'd invoked it sooner. Musically the band is solid; Mel Pritchard's Ringo-isms on the drums are especially neat, while John Lees gets in some nice distorted guitar parts and Stewart Wooly Wolstenholme steals the show when the Mellotron comes into play. The epic "After the Day" closes things on a high note, ending with an explosion that announces all bets are off. 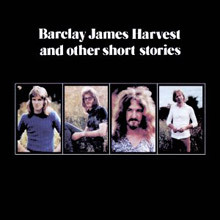 Barclay James Harvest and Other Stories is itself a high note in the band's early catalog and worth a flyer for anyone interested in the band's oeuvre. First released in 1981 this is one of the band’s all time classic albums; it's the second album to come out following the departure of founding member Woolly Wolstenholme in 1979. 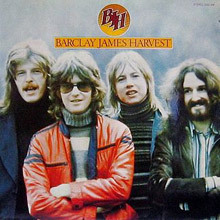 At this point in their career Barclay James Harvest were a major act in mainland Europe particularly Germany where they had a major touring base and where the album went on to sell over 250,000 – it also went to No 1 in Switzerland. Stand out tracks include ‘Highway for Fools’, ‘Back to the World’, ‘Doctor Doctor’ and ‘Death of a City’. A fine album which has stood the test of time. This double-live CD, made on BJH's last tour with Wooly Wolstenholme, is one of the better live albums to come out of the progressive rock genre. Though not as exciting as Genesis Live or as majestic as Yessongs, it shows the group in excellent form, playing and harmonizing beautifully and doing many of their best songs, among them "Child of the Universe," "Rock and Roll Star," "Poor Man's Moody Blues," "For No One," and "Mockingbird" (the latter never sounded more beautiful). All of the tracks work significantly better as live cuts than they do in their original studio form. Lees' guitar and Wolstenholme's keyboards work together very well on-stage and within the songs. The only complaint one could have is the price -- for just under 80 minutes of music, the two CDs could have been combined on one disc. The sound is good, though there is no real audience "presence," except between songs. "The World Goes On," "Medicine Man," and "Hymn for the Children."